Yesterday I had the honor of attending the Women in the Fast Lane Lunch for STEM (Science Technology Engineering and Math) hosted by the Greater Houston Women’s Chamber of Commerce. I don’t know this organization well, which I find especially intriguing because attending was a huge opportunity to learn. 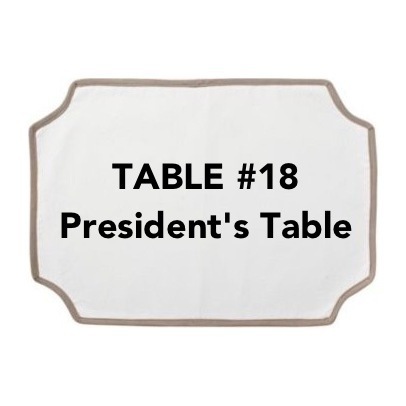 When I arrived with two other colleagues we were t old to sit at Table 18. Having each purchased our own seats, we acknowledged quickly how we were being placed at the “random” table. You know the random table, right? It’s the place they put all of the ‘onesie’ ticket holders together? We went to take our seats and noticed the placard read “President’s Table”. Intrigued we sat down to enjoy our lunch. Very quickly we noticed the table was “overbooked”, however took note how diverse the “onesie” table became. How often is it that you are assigned seats next to the keynote speaker, the chancellor of a local university and former city council woman? We were very lucky to meet some great people, all because we were put at this table randomly. This had me thinking. How do you meet new people and connect with influential people? Three strategies come to mind. 1. Attend events where you can meet people you don’t know. This is just an obvious one. If you always attend the same things, you will get the same outcomes. 2. Go outside your comfort zone and sit somewhere new. Every lunch I go to, my company sponsors a table or I have a table of friends. As human beings its natural to sit next to those we know. Boring! Don’t you have 40+ hours a week when you can see a colleague? Next time sit at a different table. 3. Valet park. Huh? Yep, it’s true. Valet! Whenever I’ve attended a function and valet parked I always run into interesting people. It often takes a while for the valet to get your car and that’s extra time can be spent having side conversations about the latest news, fashion, kids, etc. Getting a seat at the right table is all within your reach. What are you waiting for? You might meet the next president!